I was just wondering how the cockpit was configured since the outboards would negate the necessity of the engine compartment so I checked out the pictures and it looks like the cockpit is the same. What is in the back where the sterndrive used to be? So in order for Lavey to make that cockpit bigger; they would have to pop the deck out on its own, cut the cockpit liner to extend it, patch and repair that extension, and then bond the deck and hull together. I can't say 100% for sure, but I'm sure it is more than possible if the customer wanted that to be done because I've seen Lavey do some crazy amazing things with fiberglass. Been waiting since the beginning of this project to hear the dialed in performance results. Kudos to the team at Lavey! Definitely a successful extension to the line and a testament to the brand and it's heritage. Classy, Super Fast and Built to Last! Congrats Guys, she's a winner! 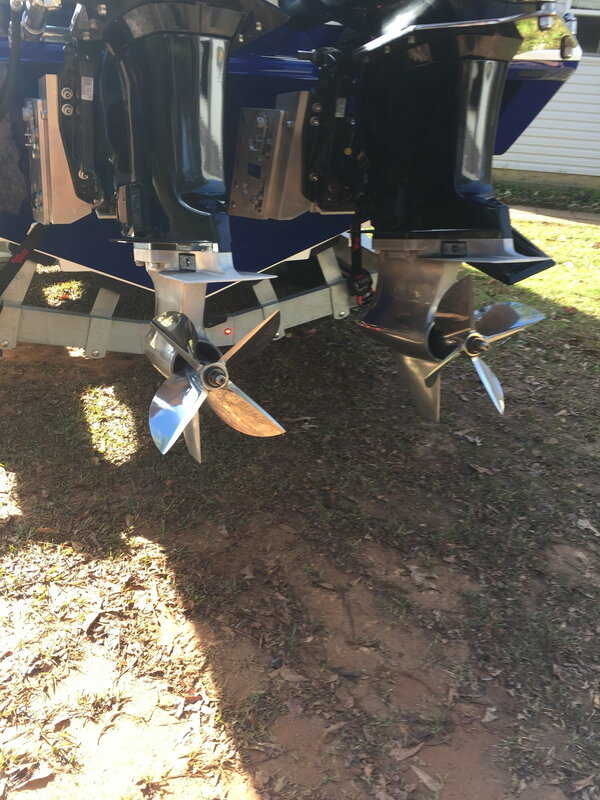 Do I dare say possible retrofit to an existing 2750 stern-drive? The boat looks sensational and interesting to read about the build, hull and deck joined in the mold and also the liner design. I was surprised to see it come out with a foredeck and then cut the open bow, I just assumed there wouldn't have been a different mold for the MCOB. I love the simplicity of the transom and still retained the profile with the boarding platforms. I'd love to do that to my Donzi! 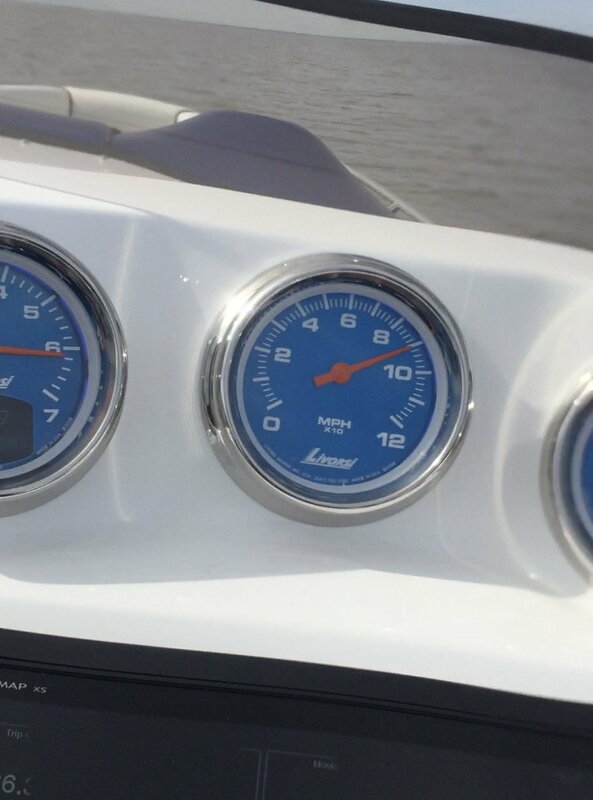 These speeds are all "real world" numbers with a fully loaded boat with anchor and all other day boating supplies as if you'd be using it on any ordinary day and 1/2 tank of fuel (aprox. 50 gal). The dry weight of this boat is 5100lbs. 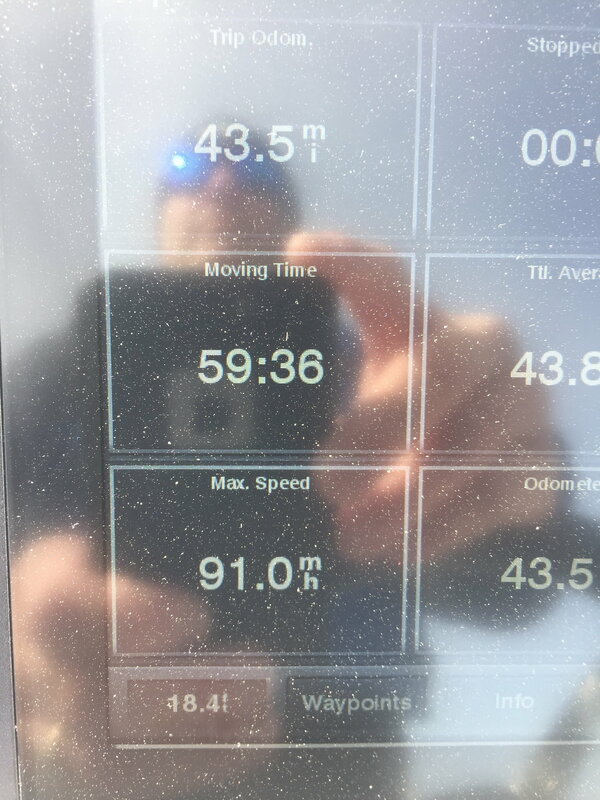 91 MPH!! Spinning 14-7/8” x 30” Dewald Cleavers, 1/2" bellow the bottom, at 6100 RPM and still getting 25 PSI of water pressure so there's plenty of room to raise the engines up for more speed.